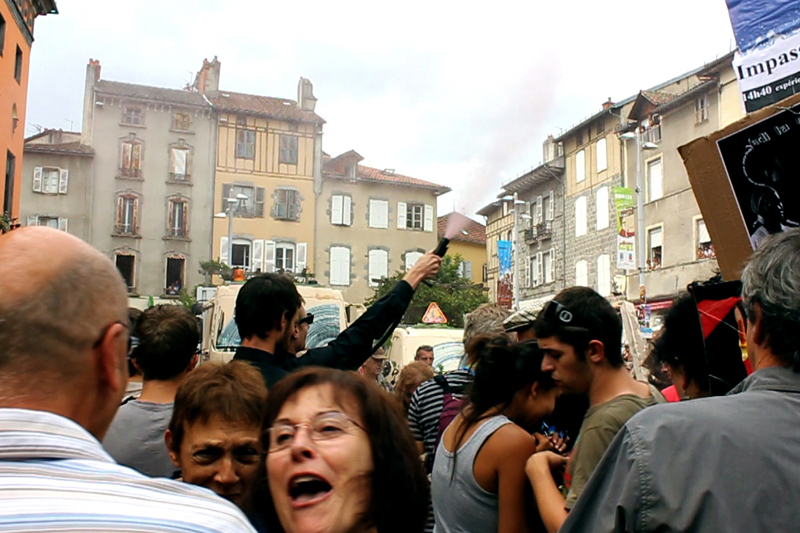 August 2012, 6 minutes, Aurillac, France. Device : 1 fire extinguisher filled with red wine, 2 priest shirts. 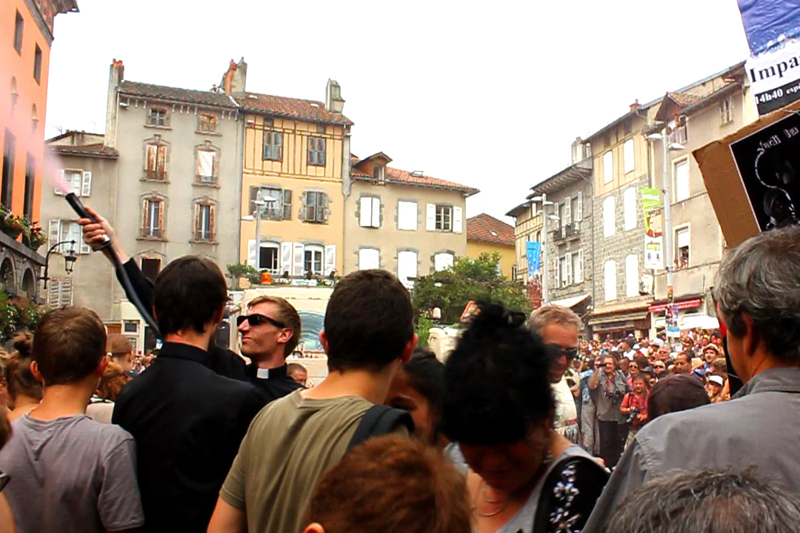 Facts : To bless the crowd with red wine during the "christian" opening of the Aurillac international street theater festival.